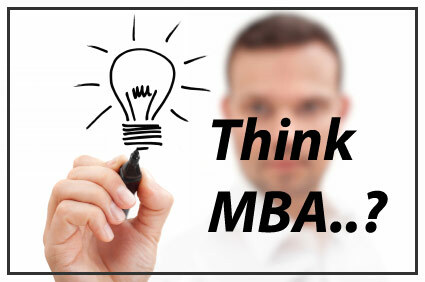 The idea of an MBA was bugging me for years. Around 9 years, to be exact. But because I come from a developing country and have a certain type of culture, I thought I could never do it. I didn’t think I was good/smart enough, and my university teachers were not helping me either. Back then you wouldn’t hear much about international programs, like Erasmus or Leonardo da Vinci, for example, which are for undergraduates. You had to know someone that knew someone that had already done it. Anyway, for a while I stopped thinking of it.I started working at 20, created a career plan in my mind and followed it. Until one point, when I realised how little I knew, how vast knowledge is and how conditioned I was because of my job. What also contributed was the fact that I decided to leave my country and start working in France. After you leave behind all the stereotypes related to it, you discover a country full of bright people who want to live in a better world, that value their heritage and don’t just follow others. That made me want to do the same! So after 2 years of living in France, I started thinking that I wanted to become an entrepreneur, maybe create a “social economy” project, and change things for the better in my birth country, or even the world. And what better way of learning how to run a business when you have no experience? After searching, I finally decided for a school in London. Yes, it’s an expensive city and the MBA’s are expensive too. But the experience you get cannot be measured in money. Plus, if you’re a good negotiator (which I am not, yet) you can convince your company to pay it for you, or you can find a crowd-funding source or a scholarship. As I am writing this, the first MBA session is finishing. We didn’t take any actual courses yet, but we already have assignments (great teaser for the brain!). During these 3 days, I have met amazing people from all over the world(Tanzania, Italy, Cameroon, USA, Lebanon, etc), who not only want to know more and make more money – they also want to improve their environment through innovating projects that can help their countries. Feel free to contact me if you want to know more about the MBA world – it’s a complicated one if you don’t know exactly what you’re looking for. In the months that came, I was too busy with work and couldn’t continue with the MBA so the plan was to go back a year later. But as I was rediscovering Paris, something changed in me – slowly but surely….. I started to do most of my grocery shopping in an organic store or in a local farmers market. I started working in an NGO and donating money/time to others (in France, 66% is paid by the State when you donate), started to crowd fund a lot more than before and did other “social” or “green” activities. The time went by, and one day, after a meeting with a banker for a study loan, it hit me – I didn’t need an MBA to make a difference in the world. I didn’t need an MBA to prove myself that I am smart. All I had to do was to write down my ideas and start changing things one step at a time. So that’s what I’m trying to do now: buy vintage (second hand), buy organic and local, consume less electricity and less water, etc. And this is only the beginning! !